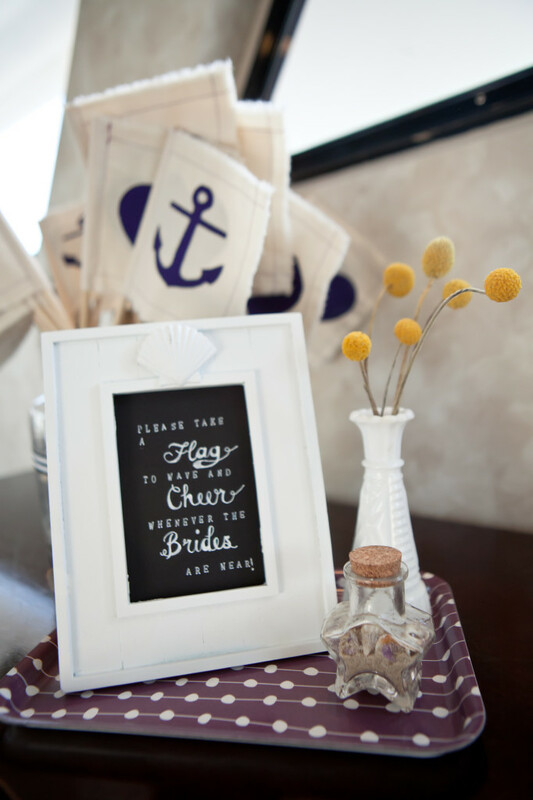 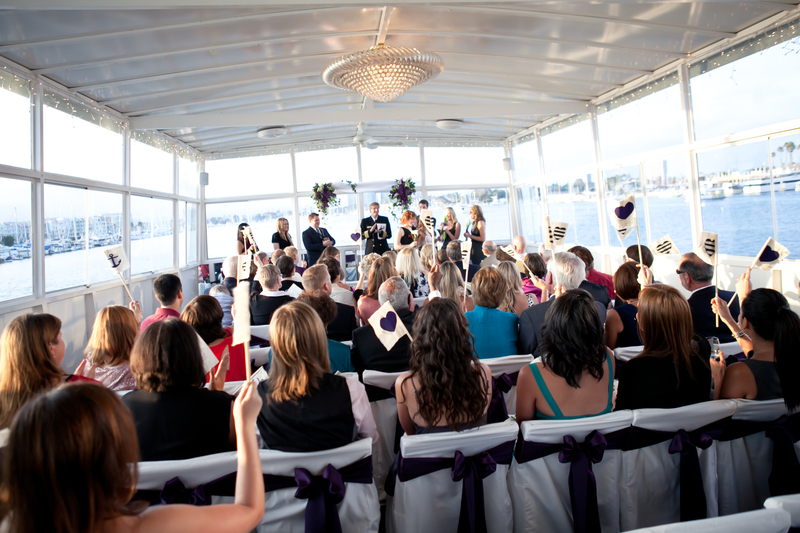 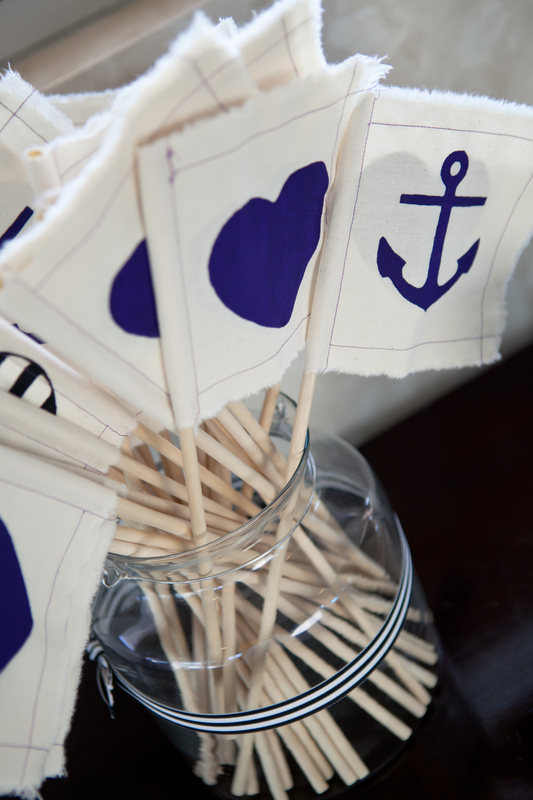 A purple nautical wedding? Absolutely! 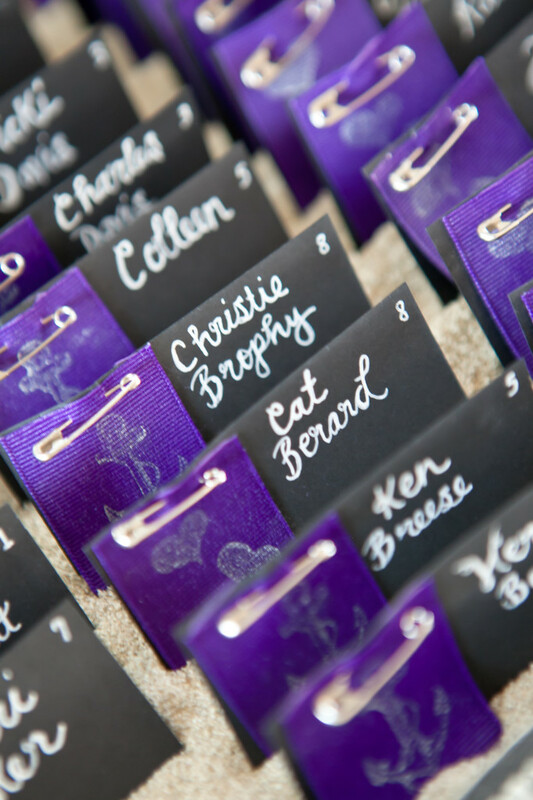 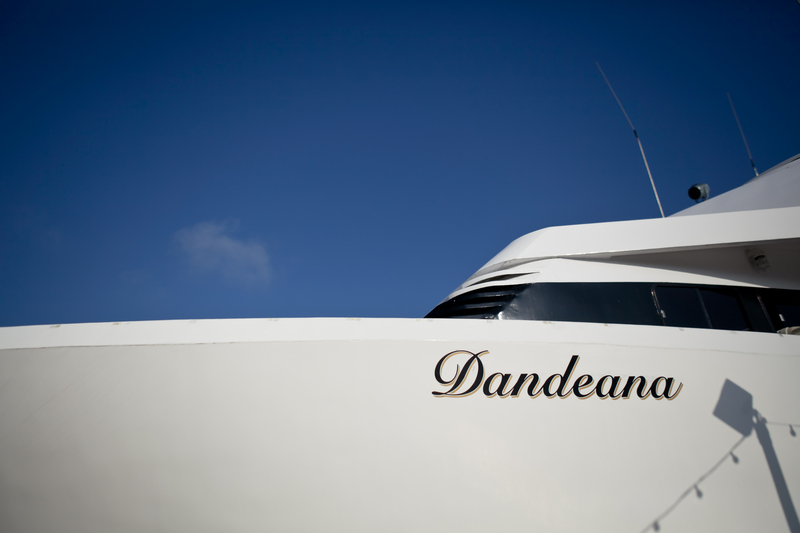 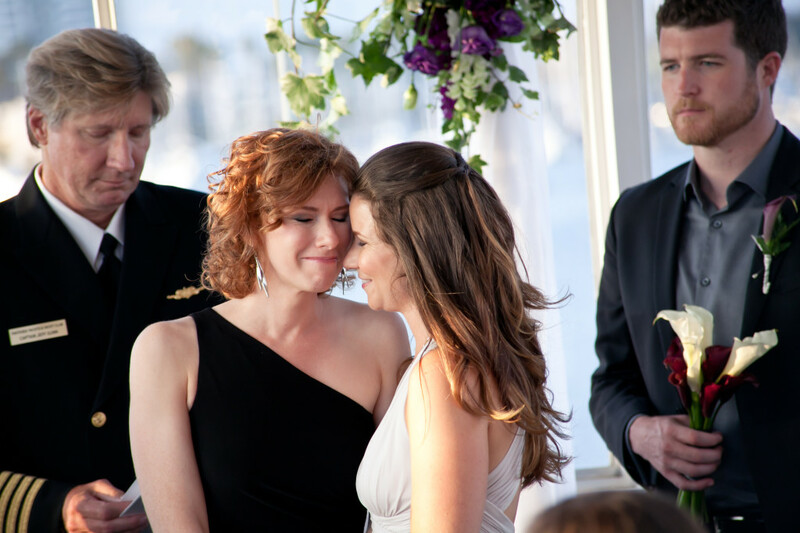 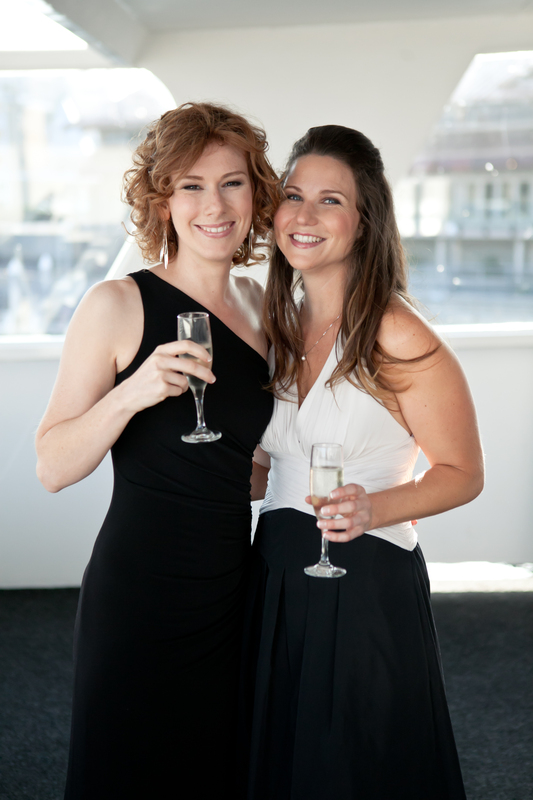 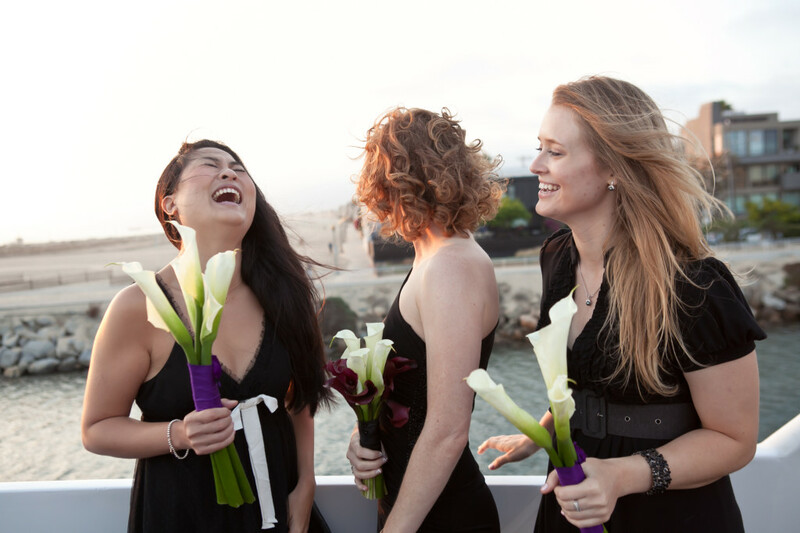 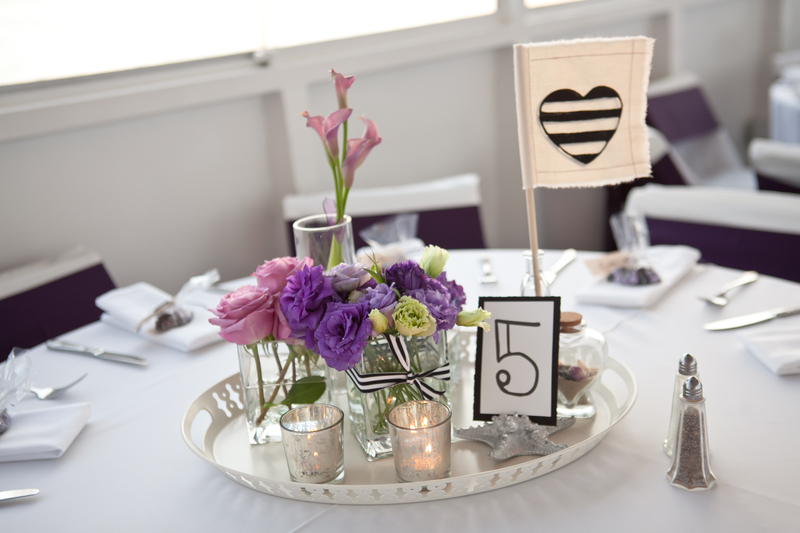 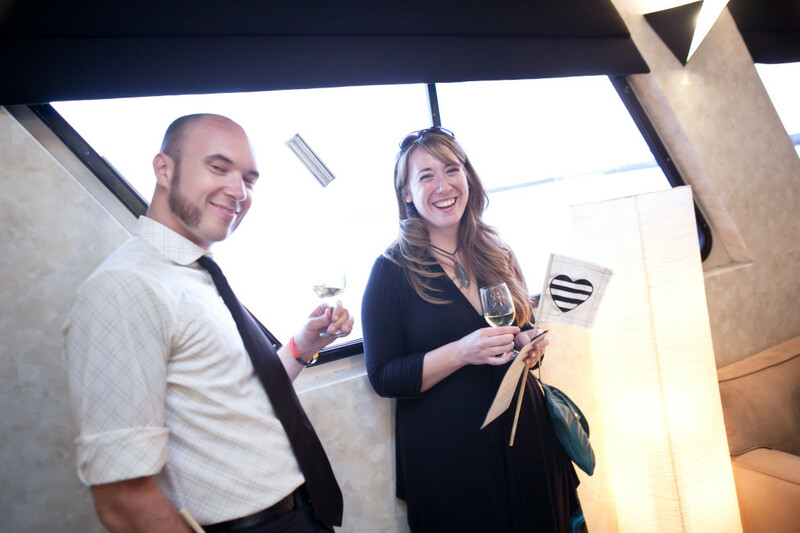 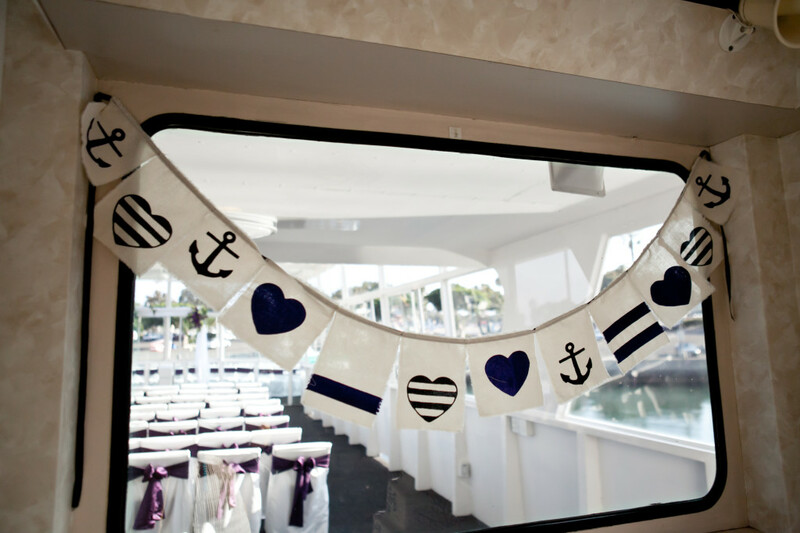 Seating cards doubled as decorative ribbons for guests to wear, and custom made bunting and flags added a personal and playful touch to this sunset cruise wedding.